How Can I Protect My Property In High Crime Areas? Unfortunately, there are high crime areas and “risky neighbourhoods” in cities all over the UK, with many in London and Essex. What do you do if your home or business is in an area which suddenly becomes a hotspot for crime? You’ve invested a lot in your property and it isn’t always easy to relocate. The best way to protect your property is to be smart and take extra precautions against criminal activity. It’s not always easy to find a perfect location to buy a house or invest in commercial property. As housing needs constantly change, neighbourhoods also evolve and what was once a very safe place to live may now be considered a rough area. If you think crime rates are high in the location of your property, follow our guidance below to try and stay safe and keep your home or business secure. Whether it’s a residential or commercial property, it pays to know your neighbours and form an alliance. When neighbours look out for one another, you’re more likely to notice suspicious behaviour and discourage criminal activity on your street. Keeping an eye out for one another’s property, family or customers is a great way to make a neighbourhood safer. Be nice to the community and they will be nice back. You should always prepare for the worst while trying to avoid it at the same time. 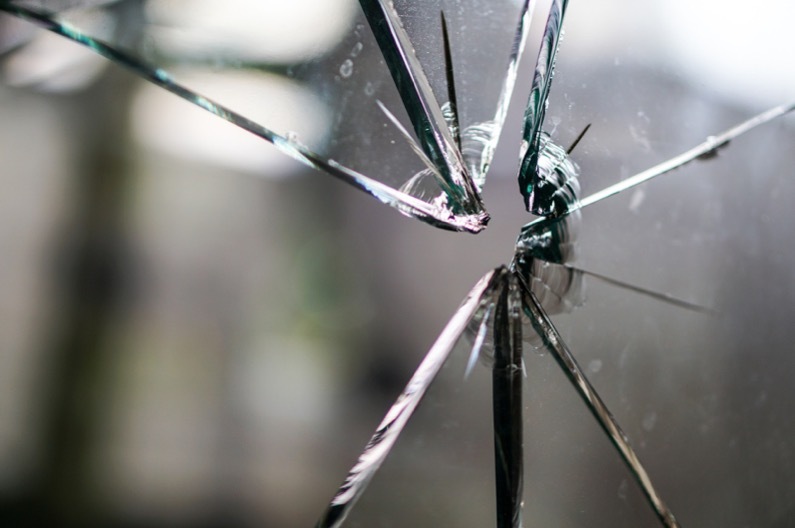 CCTV systems can both prevent anti-social behaviour and burglaries, and help catch the perpetrators if you do end up becoming a victim of crime. In the event of a crime, you can pass on CCTV footage to the relevant authorities. Security systems such as CCTV help to keep your family or your employees safe. Security cameras can now be connected to mobile devices so you can check up on your property even when you’re out. Burglars are opportunistic, and will look for the most valuable things to steal with minimal effort. Therefore, you need to make your property look unappealing and uninviting, by keeping valuable stock and personal items stored away from windows. Adding outdoor lighting at entry points can also help to deter criminals because lights attract attention, and criminals tend to move in the dark. Lastly, always make sure to lock and check windows, doors and shutters before leaving the property. When the threat is increased in high crime areas, you need to up the security to mitigate the risk of a break-in.